The Best Keto Thanksgiving Side Dishes! The Best Keto Thanksgiving Side dishes are here to save your keto holiday party! We all know the main entree, whether it be turkey, ham or a roast are all super keto friendly. But it’s the Thanksgiving side dishes that can give you a hang up. That’s why we’ve rounded up our favorite Keto Thanksgiving Side dishes to help you keep your carbs low and enjoy the time with your friends and family! The holidays are times that we celebrate with our close friends and family. But these holiday parties typically revolve around comfort foods, which are typically high in carbohydrates. Well not this year! We’ve got you covered! 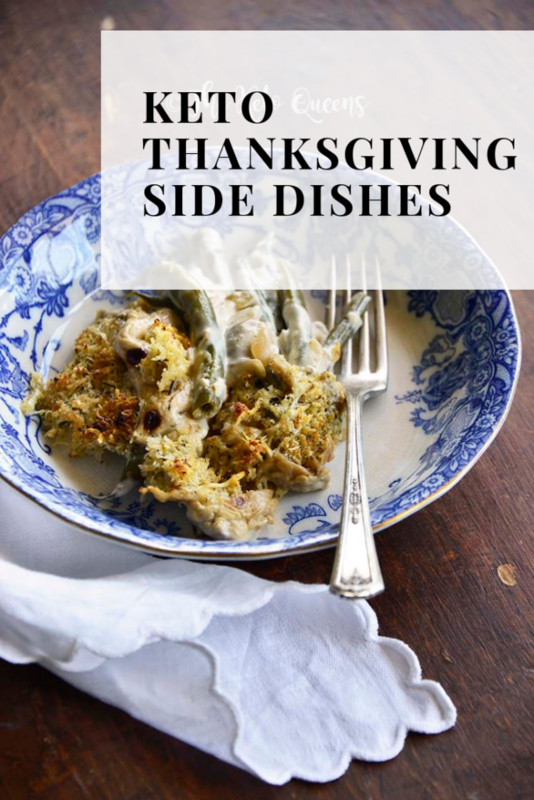 In today’s post we’re sharing our favorite low carb Thanksgiving side dishes so both you and your family can enjoy the food and company, while not worrying if you’re going to knock yourself out of ketosis! At my family’s Thanksgiving dinner, it’s the typical stuffing, mashed potatoes, green bean casserole, cranberry sauce, apple pie, ice cream, and sometimes there will be cookies or leftover halloween candy. But not this year! Last year I sucked it up and just ate the turkey and roast and picked out a few green beans to eat. But this year my family said they wanted to do it a little differently and I was so happy they did! So out with the old and in with the low carb and tasty Thanksgiving Side dishes! 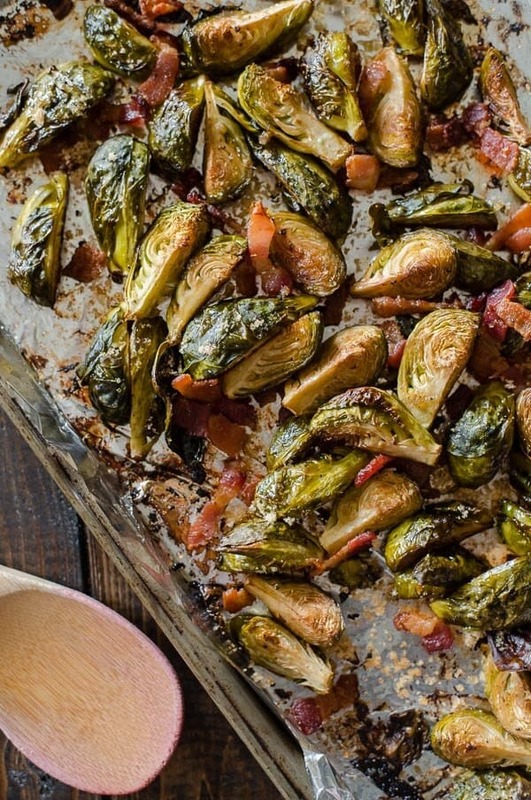 So I’m a huge fan of brussels and bacon so I’ll definitely be bringing this balsamic roasted brussel sprouts with bacon from my BFF Erica’s blog – minus the brown sugar of course! 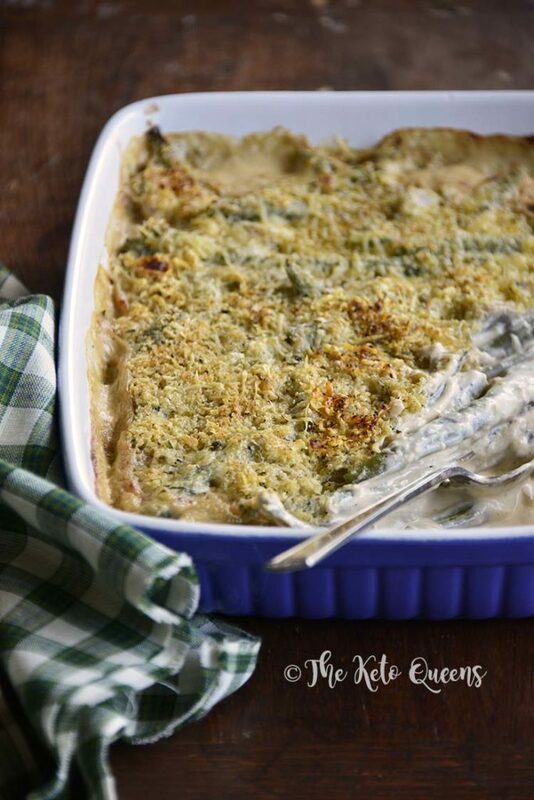 And then because my mom absolutely loves green bean casseroles, I’ll be bringing over this low carb green bean casserole which is made in the instant pot, so it’s SUPER easy to make! 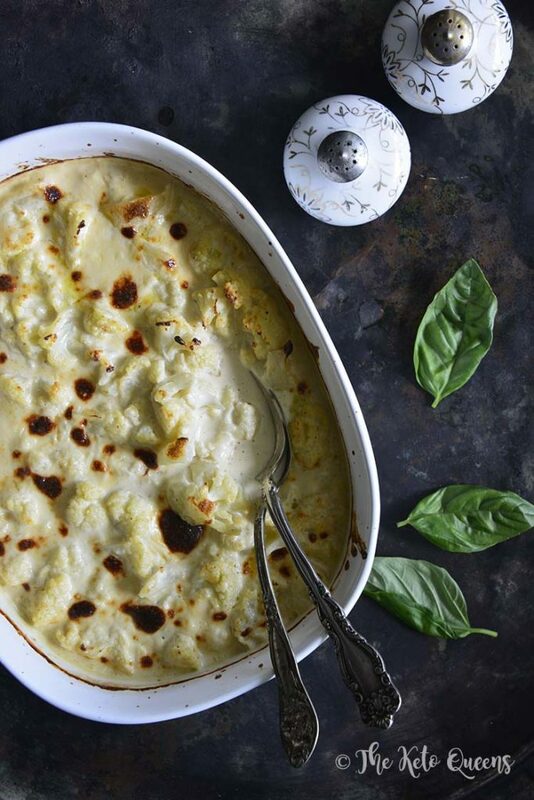 For all of you mashed potato lovers, you most definitely need to try our white wine and cheddar cheese cauliflower casserole. I’ve made this for my family on multiple occasions and they absolutely love it! 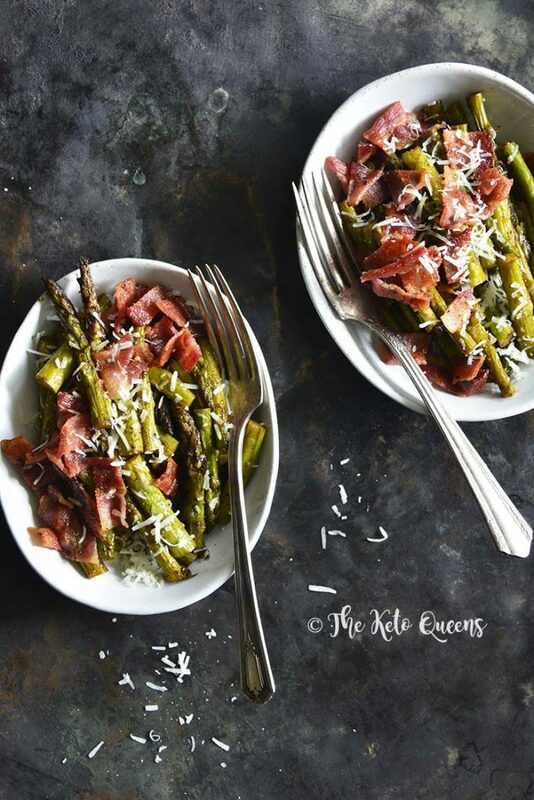 For those of you, like me who are all about the low carb veggies and bacon, you will not be disappointed if you make our balsamic glazed asparagus and bacon dish. It’s quick and easy and all made in the same skillet, so prep and cleanup is a cinch! If you like your veggies plain and not part of a dish, we’ve created this low carb vegetable guide to help you pick out the best keto vegetables to serve this Thanksgiving. 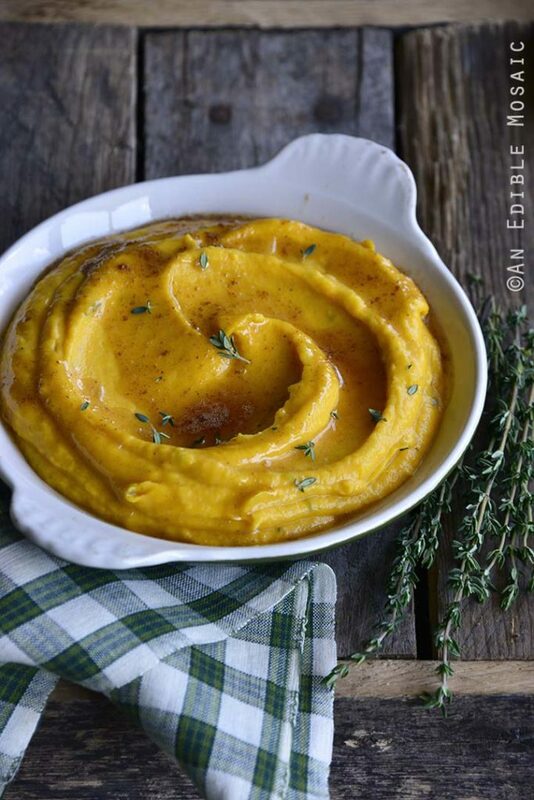 A nice alternative to sweet potato casserole is this butternut squash puree with fontina cheese, fresh thyme and brown butter that Faith just shared on her blog An Edible Mosaic. While it is a little bit on the higher side of carbohydrates, it’s still something that I think you and your family may enjoy. Instead of eating a full serving, which is 14g net carbs, I would suggest eating a half serving that way you can enjoy the rest of your low carb vegetable side dishes. So I can’t write a post about Thanksgiving and not talk about desserts! Tis the season of eating after all! 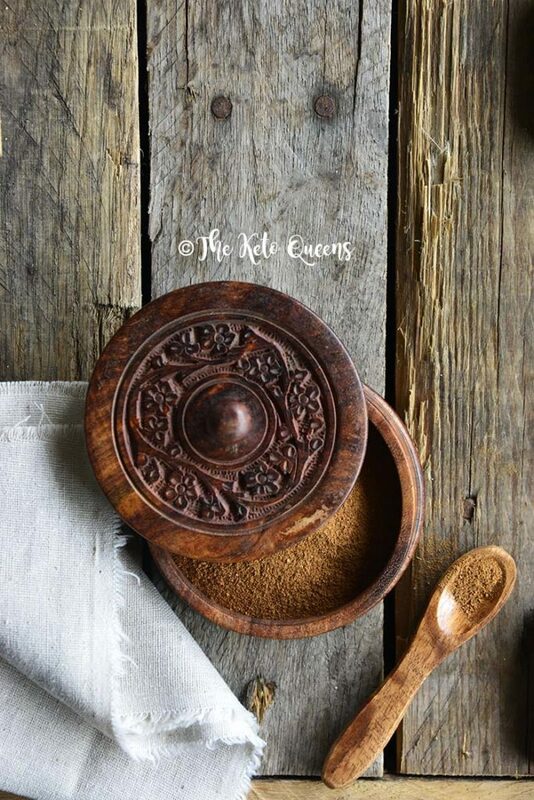 If you’re a person who loves pumpkin pie spice then do we have a treat for you! 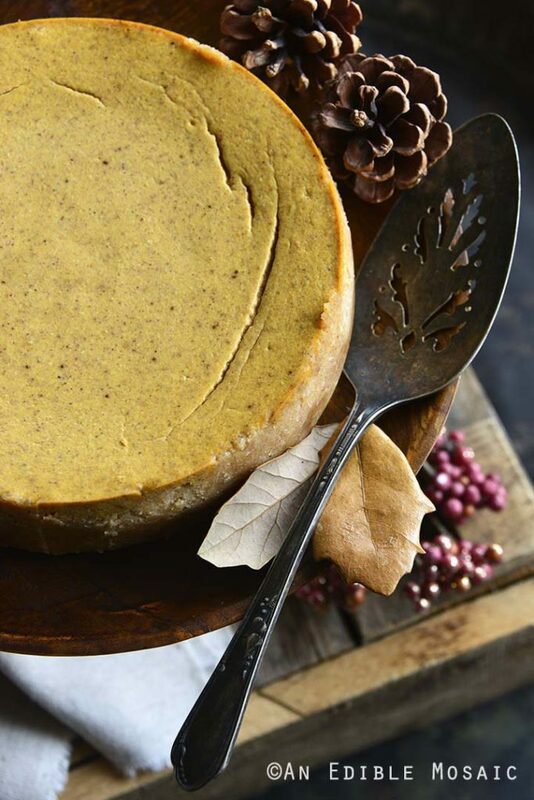 First off, every good pumpkin recipe needs a great foundation like our Pumpkin Spice Mix. Once you have this down pat, then it’s all easy going from there. Now where are my cookie lovers at? 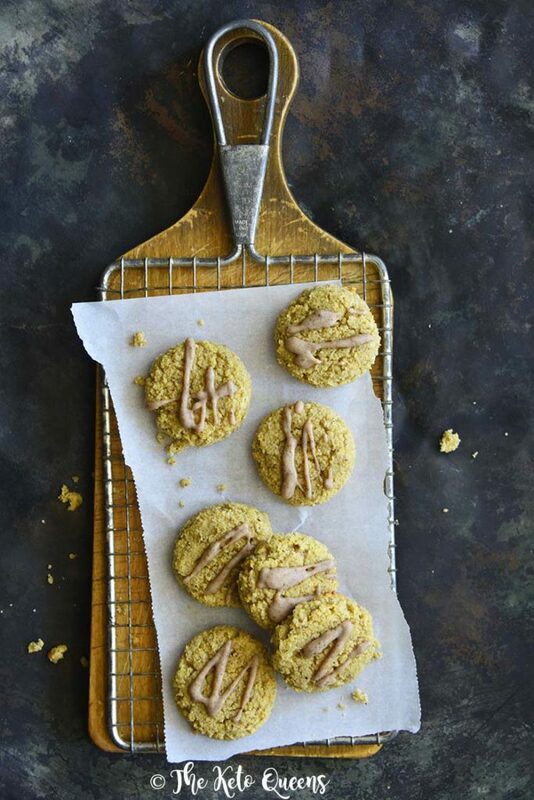 We’ve taken pumpkin to the next level with these keto pumpkin spice snickerdoodle cookies. These cookies are perfect for a dessert or pair nicely with coffee to keep you awake after your turkey induced slumber approaches. Speaking of coffee, have you tried our Sugar Free Pumpkin Spiced Latte yet? It’s not just for the holiday season. 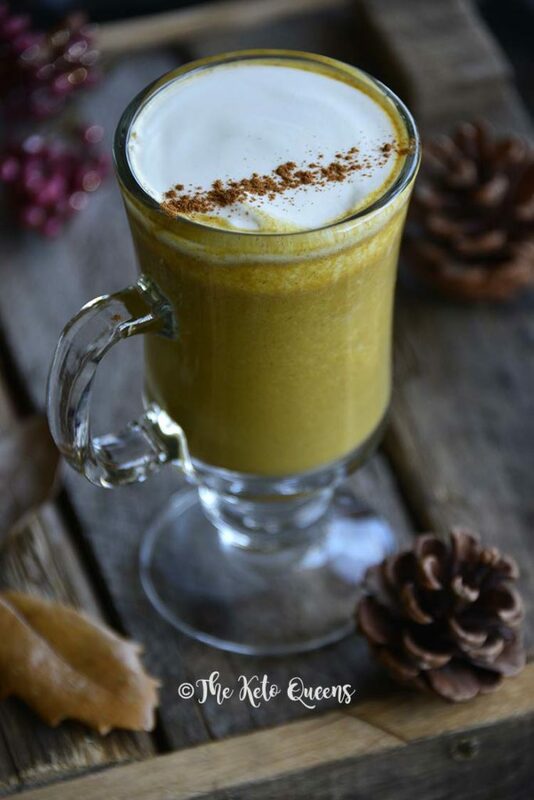 This keto coffee is just a tad bit sweet and has the right amount of pumpkin! 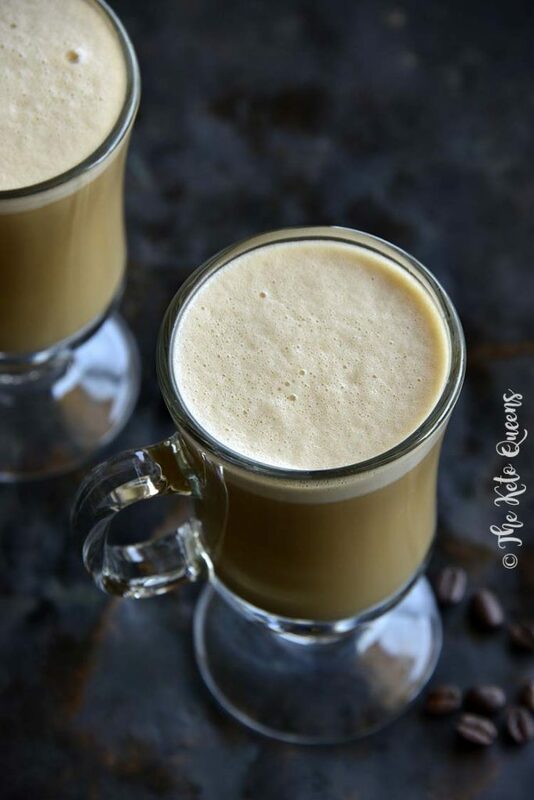 For those those of you who like your keto coffee without pumpkin, might we recommend our bulletproof coffee recipe with homemade keto sweetened condensed milk. These two recipes are great by themselves but pair nicely together!